Senate summons IG of Police Idris Ibrahim over Dino Melaye – Royal Times of Nigeria. The Senate has summoned the Inspector General of Police, Ibrahim Idris to appear before the house by 11am tomorrow April 26th to brief the house on why Senator Dino Melaye was maltreated by the police despite his status as a federal lawmaker. 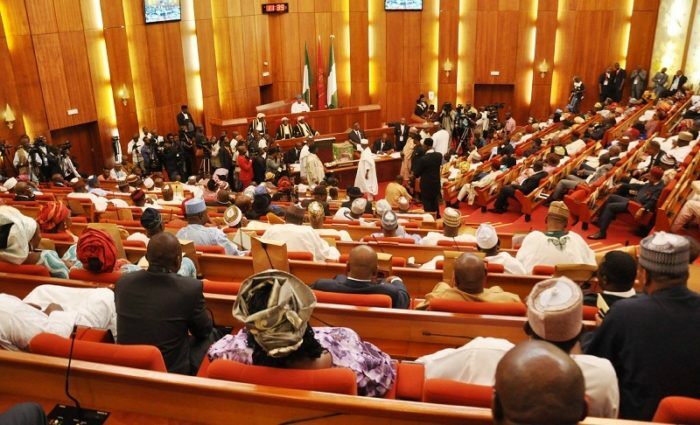 The resolution to summon the police chief was adopted following a motion by Senator Samuel Anyanwu representing Imo East who lamented that Senators are being treated like common criminals across Nigeria. According to Senate President Bukola Saraki, all efforts by him to reach the IG has been abortive as the police chief has refused to take his calls in the last 48 hours. The Senate adjourned abruptly for all senators to visit the National Hospital were Senator Dino is under admission. Chairman of the Senate Committee on Police Affairs, Senator Abu Ibrahim was also mandated to ask the IGP to appear at plenary by 11am on Thursday.